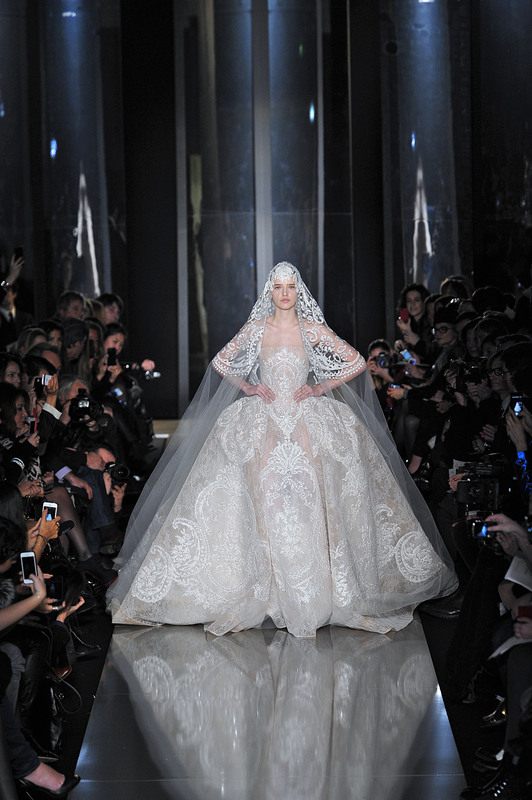 Okay, so this Elie Saab haute-couture dress might be a little much if we get married in Park City (did I mention I just got engaged over Christmas or that we might get married in Park City, Utah? Oh, well, yeah so that happened. More on all that soon…). Plus, I’m not really a poufy kinda girl, but I could see how this could fulfill many a girl’s fairytale princess fantasies. Okay, I’d wear this minus the sheer. Perfect for my “something blue.” Love embroidery and tea-length and the blue. Reason enough not to go white. 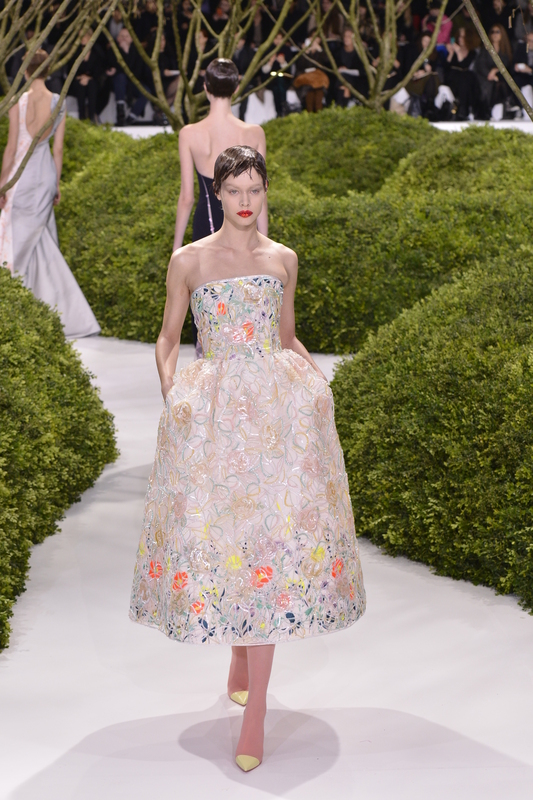 Dior’s blooming mermaid silhouette is also pretty wedding-worthy. I sorta love the subtle neon nods. You got the traditional skirt with a conservative neckline and t-shirt sleeve style so mom’s happy. 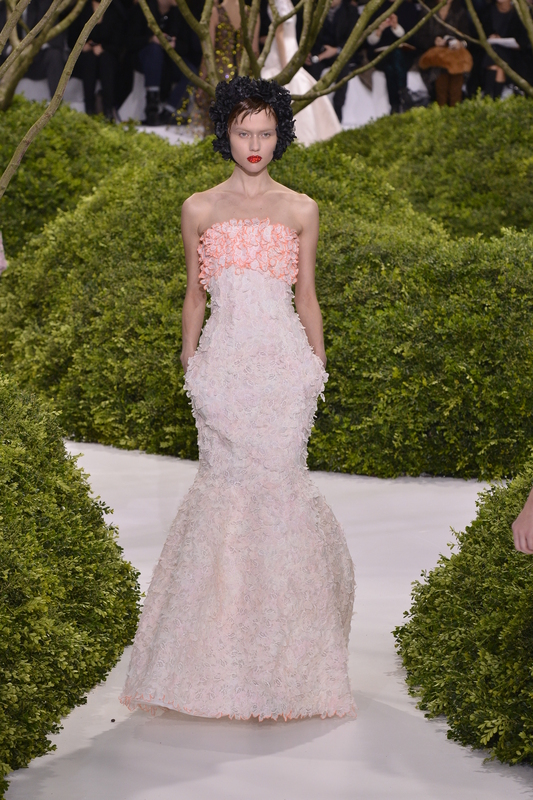 But there’s also a modern drop-waist and a not-quite pink, not-quite purple, not-quite gray hue to make the non-traditional bride plenty to be happy about. I’m liking it a lot. I love tea-length. Very Audrey Hepburne. And the print is mostly-blush if you don’t count the pops of color along the bodice and hem, but hey, who’s counting besides mom?